Let me tell you a little about Bobby Messano. His name should be a household word but often it is not. 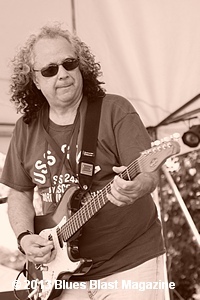 Messano is a legendary musician with now six modern blues albums under his belt. He has had songs featured in network and cable television shows, he has been heard on the MTV Jingle and on Benny Mardones’ smash hit “Into the Night” (which made the Billboard Top 20 in 1980 and then again in 1989). 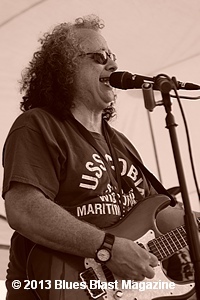 He has written songs for himself and for many an artist, including the likes of Eric Clapton. His guitar has been heard on over 50 major and indie labels. He has appeared on records with Clarence Clemmons, Franke & The Knockouts, Joe Lynn Turner and Starz. He produced, appeared and recorded with the 60’s hit act Shadows of Knight for a long run that intermittently continues even today. He has toured with and been the music director for Steve Winwood, Lou Gramm and chart topping Country artists Jimmy Wayne, Rodney Atkins and Steve Holy. I have talked with Bobby over many a good meal (usually Italian, both of our favorites) and a bottle of wine or two (also usually Italian and also our favorites). We recently hooked up to discuss his latest CD. I took the opportunity to interview him. What started his interest in playing the guitar, writing songs and singing? “I grew up listening to the Detroit and Philly Soul acts and the Four Seasons, but I also was hearing Freddie King and Chuck Berry,” he said. The song is what people remember and Bobby recognized that without a good one even the best performer and artist is lost. Messano often mentions seeing Jimi Hendrix in Flushing Meadows when he was 14 years old. Sometimes he even talks about that at his shows. How did that show impress and influenced him? 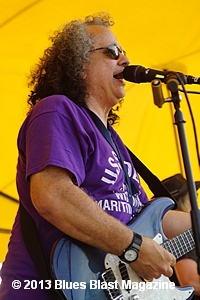 Messano had his own rock band, toured with greats like Steve Winwood, recorded and toured with Lou Gramm and so many others. He even played a big role several times over the years in the band Starz, a proto-metal-glam band from New Jersey. They never made it to the real big time but bands like Poison and Mötley Crüe claim Starz as their primary influence. That’s pretty far from the blues. 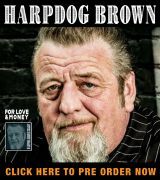 What made him focus on the blues for the last 25-plus years instead of staying with the hair/metal and rock bands of years past? His tone and style of playing guitar is uniquely his own. He described his approach to playing guitar. Messano likes to be in front of a crowd and pleasing an appreciative audience. The new CD is a distinct departure from the blues rock styles of past albums. Love and Money is darker, brooding and more edgy. What drove you to take this tact and focus with the new CD? What with the dark opening to this album? What inspired him to do a samba-like tune like “Boddentown” that is quite a different sound from the rest of the CD? The new CD is dedicated to Messano’s father, Albert Francis Messano with a picture of his Pop in his WWII Army uniform on the cover. How did his father influence his work ethic and career? Steve Winwood is one of Bobby’s heroes. 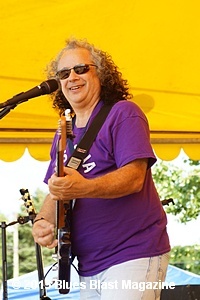 Messano’s last album featured a Traffic song, “The Low Spark of High Heeled Boys.” The new album has Blind Faith’s “Had to Cry Today”. How has Steve Winwood influenced him? Sirius XM Radio took great interest in his new CD. Messano recorded in their Bluesville studio in April, and now his music seems to be all over their rotation. 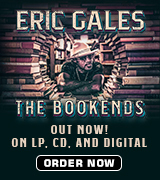 It is expected that the new CD to also be all over Bluesville too. How did that start and how is that working out? Bobby’s new band is great. So how did he hook up with them? If Messano could play live on stage with one person, living or dead, who would that be and why? “He also left AIR in the songs…It would be, as someone used to say that I knew…”Like Butter”.